The desire for this client was to create a library as part of a greater campus that included the adjacent township building, sports fields, and hiking trails. There was a natural slope to the land that we followed to nestle the building into the bank. The interior layout was conceived to take maximum advantage of the natural light, with the circulation desk, and staff areas having full visibility to the outdoors. 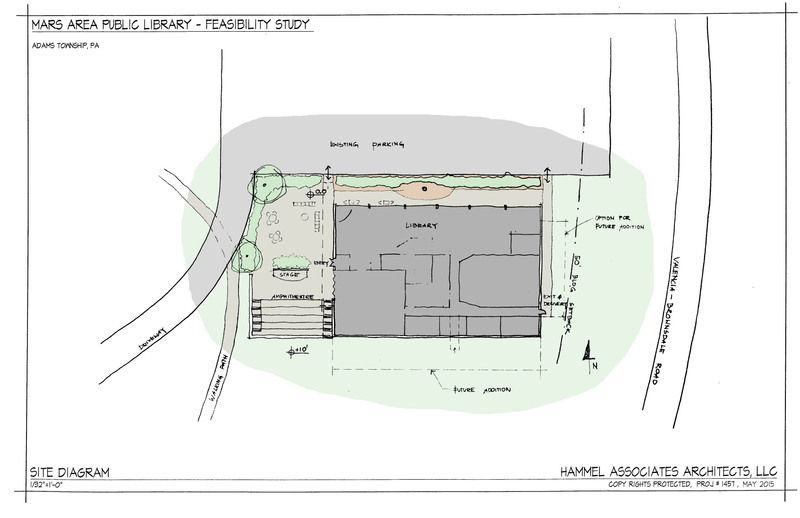 Our site plan diagram shows how the library contours with the outdoor terraced amphitheatre where there is a side entrance into the library facility. The building faces the existing parking area where additional landscaping is installed to bring elements of nature to the façade, that blend into the natural surroundings and screen the parking area. 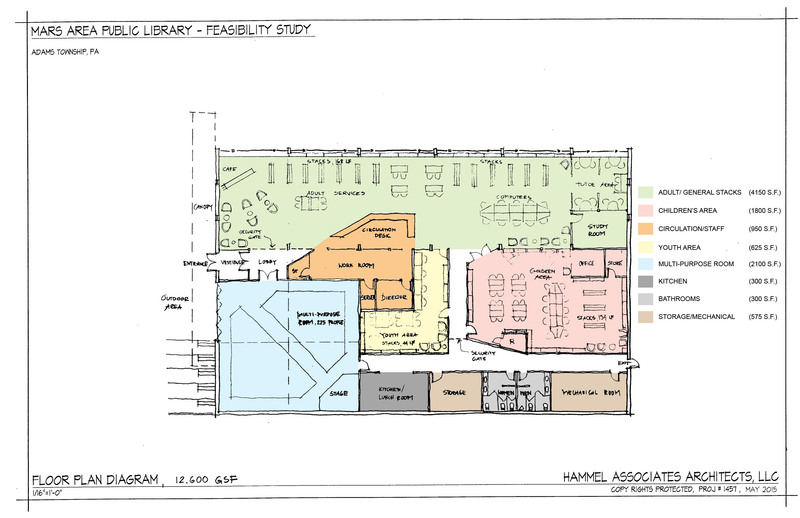 Space is available for future expansion on the remaining two sides of the library. 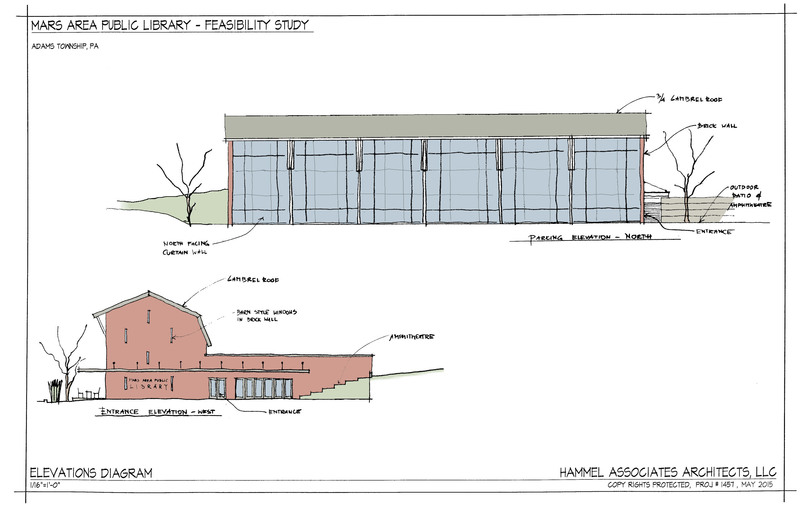 In the feasibility study we show how the elevations of the new library will fit the existing landscape. The study also shows the exterior details including the gambrel roof, barn style windows, and expansive brick exterior.